Be a change maker. Be a life saver. Be #BoldforBlood. When human life is at risk, are you silent or bold? Now is a defining moment. The community blood supply in Western Washington and Oregon is hovering at one- to two-day emergency levels, meaning there isn’t enough locally-supplied blood for patients in need. 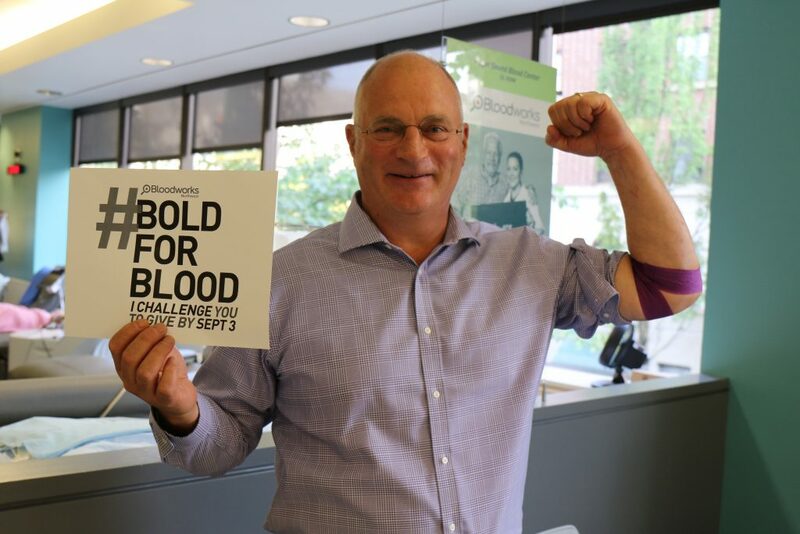 It’s time to act boldly: Join us by participating in the BOLD FOR BLOOD Challenge! 1. 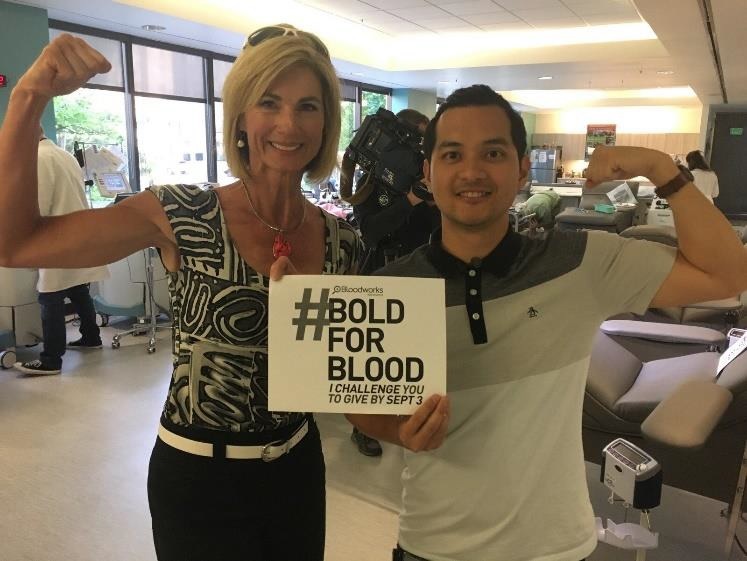 Be Bold: Register to give blood at a Bloodworks Donor Center or mobile drive. 3. 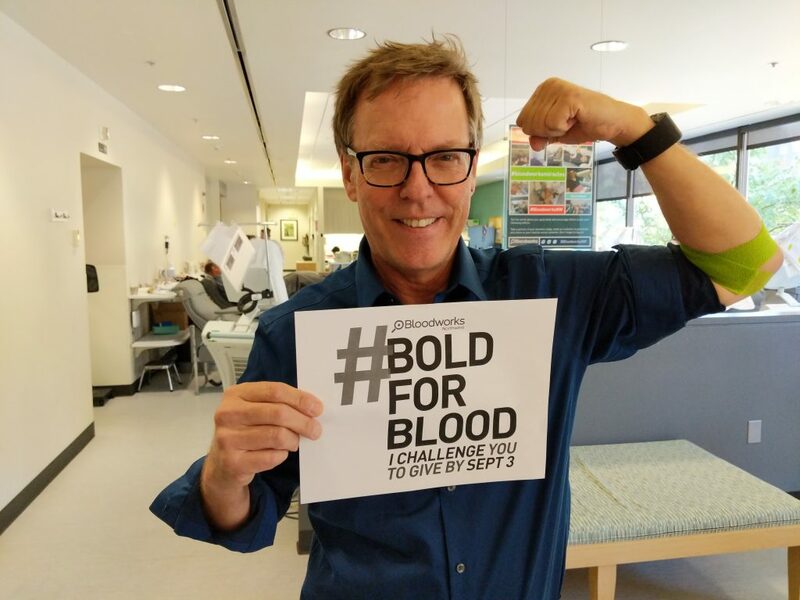 Invite Others to Be Bold: In your social media post, tag three friends you challenge to be BOLD FOR BLOOD. Corporate challenge? Remember to log your donation using the form below. What inspires you to be BOLD FOR BLOOD? Schedule your appointment online or call 1-800-398-7888. Giving blood isn’t the only way to save lives. Some restrictions may temporarily or permanently prevent you from donating blood. Volunteering to monitor donors and financial contributions are also vital to Bloodworks’ medical services and cure-finding research. Make a contribution today.